The School-Based Support Team forms an integral part of Kirstenhof Primary School and assists many children who need academic support at various stages of their schooling career. The team is comprised of specialised learning support teachers, the principal, and the school counsellor. Children who need support are identified by their class teachers and the team sits together to ascertain the nature and extent of the need. The team meets regularly to discuss the children and they work together to provide the best possible assistance. In the Foundation Phase, teachers offer additional lessons in the form of ‘Mini School’ and there is a qualified remedial teacher who provides individual and group sessions for those children who require more targeted assistance. We also have a Speech Therapist and a Occupational Therapist. 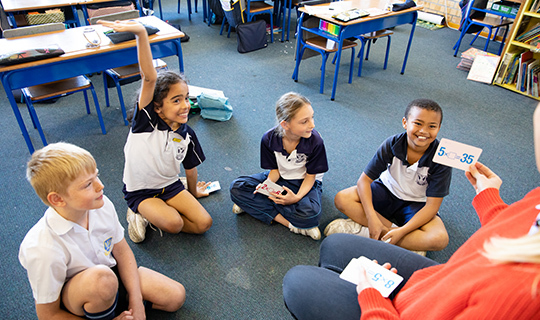 Learning Support lessons are offered in the Intersen Phase by a qualified learning support teacher and certain class teachers offer extra lessons either before or after school. A variety of assessment techniques are used to ensure that children are given ample opportunities to perform well. Teachers work hard to maintain a healthy balance between teaching and assessment. Policies are being formed and adapted as children’s barriers and limitations change. Concessions are given where possible and Kirstenhof continually strives to accommodate the whole child. Learning support is available for learners in the Foundation Phase and the Intermediate Phase. This is specialised support in specific learning areas, to strengthen individual skills, encouraging learners to become the best that they can possibly be. Specific areas of learning being phonics and spelling, reading and comprehension, language development, Mathematics. If learning support is required to remediate specific academic issues, there is a cost small termly cost involved. Parents may apply to have these costs waived by writing a letter to the principal. The Learning Support team also includes Speech Therapy, Occupational Therapy which are provided by private service providers on the school premises during the school day. The school counselor is available daily for crisis counselling, short term counselling and general learner support. Regular School Based Support Team (SBST) meetings take place, where strategies and the necessary interventions for specific learners are considered. These recommendations then get discussed with the learners parents.